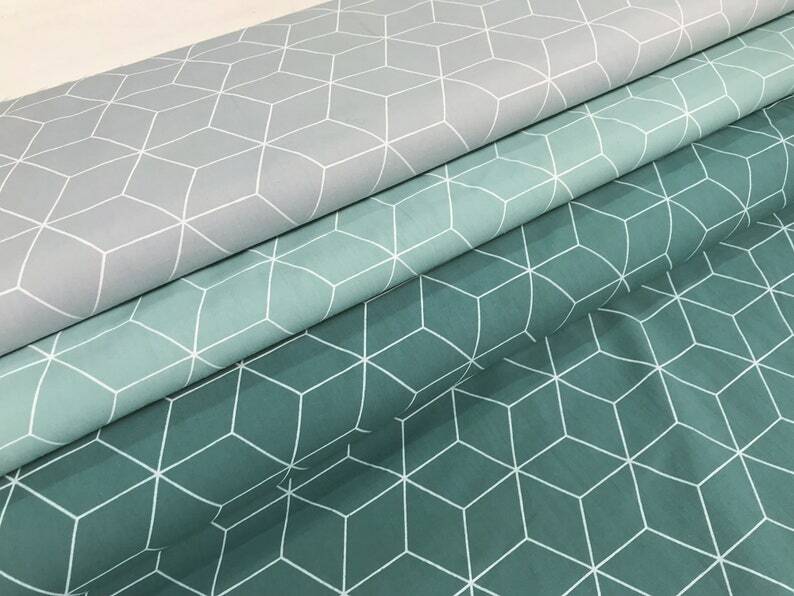 Fabric Package of three very beautiful Cotton Fabrics in old green, dusty mint and grey, colour-coordinated. Geometric hexagon patterns made of white Cubes. The Edge Length is about 3.5 cm. The cotton fabrics of this fabric package are also available individually here in the shop. Fabric packages in green, red, grey, blue, yellow, purple and many other fabric colors, Vichy fabric packages, fabric packages with dots, stars and strips can be found here in the shop at StoffeMeinkaro.